1) Right of UK and EU citizens living in each other’s country. 3) UK-Republic of Ireland border issue. When we says UK it includes great Britan + north eastern part of the island of Ireland and many smaller islands. What is Great Britan ? It is independent country. It is not part of UK so it will remain under EU even after Brexit. It joined the European Economic community union in 1973. Capital is Dublin and currency is Euro. Capital of Northern Ireland is Belfast which is part of UK but their identitiy is similar that of Republic of Ireland in case of tradition, colour Gene etc than other part of UK that’s why both the countries have open border but, when Brexit deal concludes open border system will also fears that be closed. 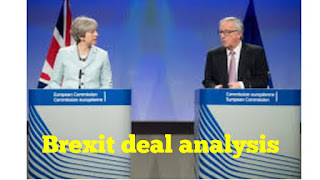 It must have been analysed in Brexit deal case by UK’s cabinet as the country will have loss of trade. If we look at Brexit deal and analysed it in case of Trade of Ireland (Republic of Ireland ) with the UK is worth about 💶 65 billion a year and sustains over 40000 jobs on both sides. Irish farmers and dairies sell 10000 tonnes of cheese to the UK every year while more than half of the republic 💶 2.5 billion beef export goes in the UK. To solve the trade deal problem. the transition period which the government calls implementation period begins on 29 March 2019 and last until 31 December 2020. It may extend up to 2025. The trade deal must be signed before the end of the transition period. UK has agreed to pay 39 billion payment to EU according to Theresa May. 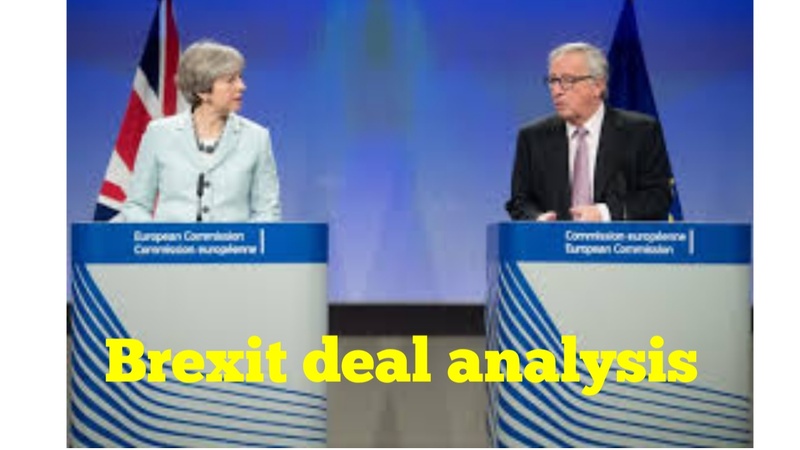 EU is running various projects like sciences, agriculture, fishery etc for that UK promised to give pounds before decades, to fulfill that memorandum of understanding UK will give gradually 💶 40 billion till 2025 even if they will not benefit from it as the UK want Brexit. Rights of UK and EU citizens living in each other’s Countries. The people from UK who are nearly 1 million working in EU and the citizens from EU working in UK will not be affected by Brexit as their Visa will not be revoked. It is a mature step of both sides. Citizenship policy for EU member counCount is also relaxed who worked in UK for more than 5 years. UK citizens in EU, and EU citizens in the UK will retain their residency and social security rights after Brexit deal. As the Brexit deal concludes Visa free travel will end. UK universities will be hit hard after transition period. It’s indirect benifit to Countries fro Asia, Africa continent to come in UK as their will be no visa free travel to EU. Fishing Industry of EU is flourished as most of countries border is surrounded by coastline. UK’s fishing industry people had complaint that US was member of EU but, fishermen of Germany, France, Belgium, Netherland were come to UK influenced coastline. So, it was loss of UK. After, Brexit deal their will be strict rules against other countries who will come in UK’s water zone for fishing.